Margaret O'Rorke from England exhibits light objects in transparent porcelain. ”The translucency of fine high-fired porcelain captures my imagination and leads me to create thrown sculptural forms that give light. 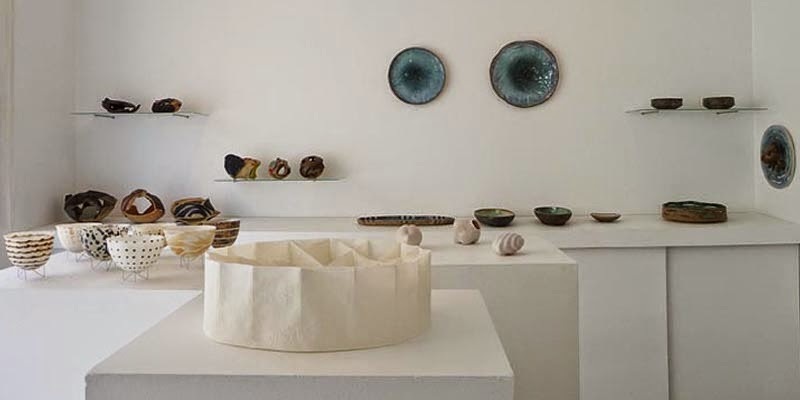 Ideas stem from the nature of the material, forms that can grow from the potter's wheel, the process of firing and a sense of adventure with light and space. 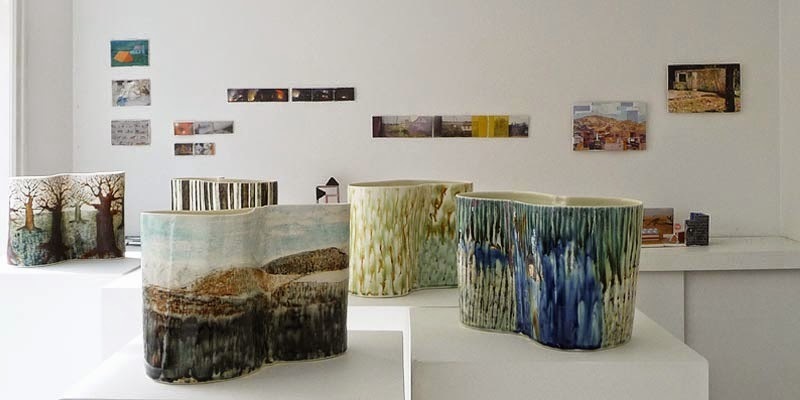 Margaret O'Rorke was awarded a research and development grant for an industrial project at the Wade's porcelain factory in Stoke-on-Trent in 1999. 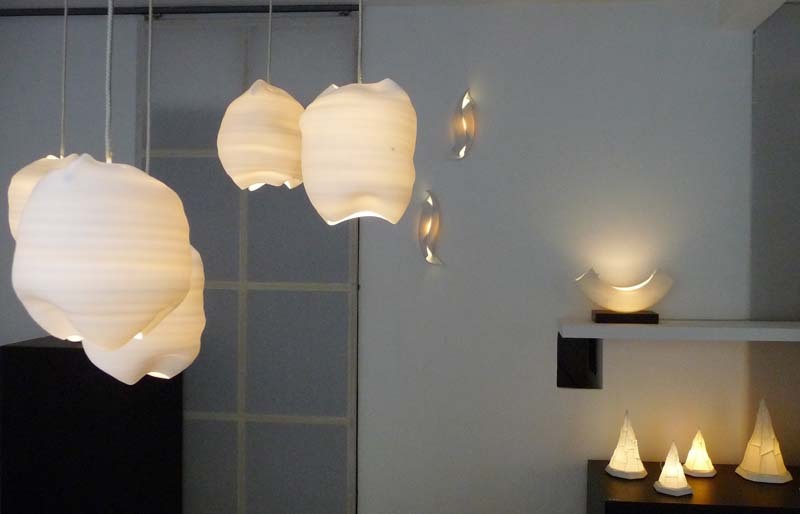 Louis Poulsen Lighting A/S Copenhagen unveiled in 2002 an interesting exhibition of works by Margaret O'Rorke. 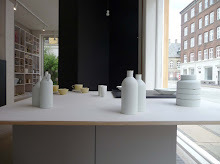 In 2006 she did a collaborative commission project at the Danish Royal Copenhagen porcelain factory, a light installation for the Royal Copenhagen showroom at Amagertorv, Copenhagen. 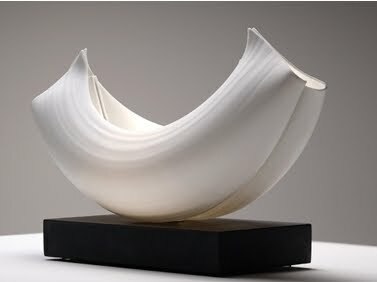 She has made studio artist visits, workshops and industrial projects to Jingdezhen in China from 2007-2009. 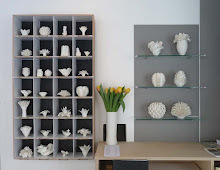 In 2008 a collaboration with the Jeweler Marlene McKibbin resulted in a new collection of thrown porcelain Garment Sculptures. 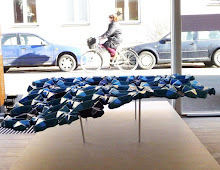 In 2009 she collaborated with the Finnish Art Weaver Sirkka Paikkari to create the Woven Light and Porcelain installation exhibited at Contemporary Applied Arts in London UK. “Clay, Light and Water' by Margaret O’Rorke, A & C Black Ltd February 2010 - AMAZON. 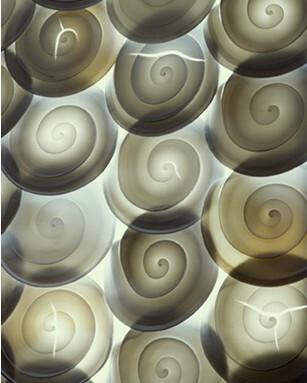 'Light and Porcelain' about Margaret’s pieces – design/print in China, 2010. 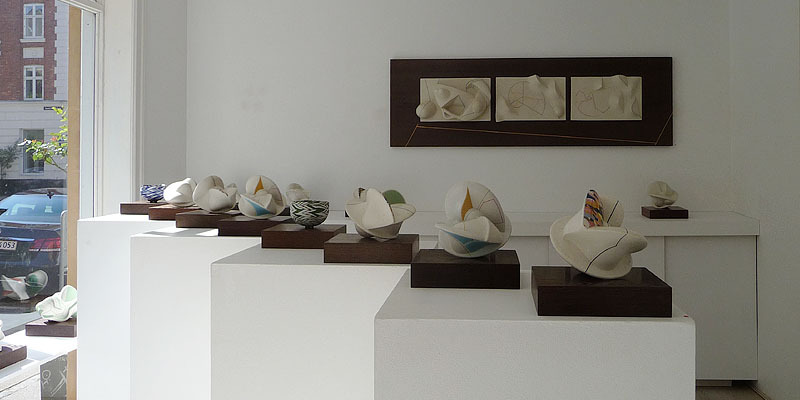 "The majority of my studio work is hand-thrown porcelain. When the clay is sufficiently firm, I cut and reform it. Frequently, pieces are joined when leather hard. Some hand-built work has included rolled reeds. 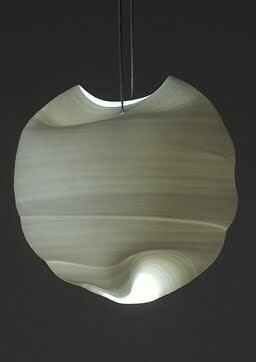 For free-standing pieces, I may throw stoneware bases which incorporates the light fitting. 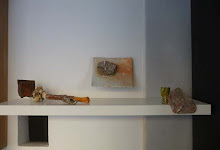 Following my industrial research projects and experiments I have made plaster-moulds from the thrown forms. 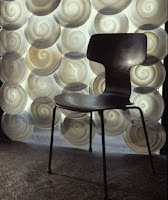 Some cast forms are re-formed when leather-hard. 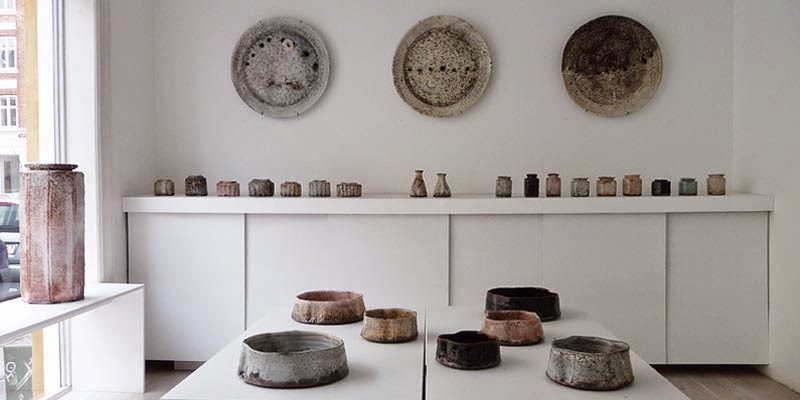 The pieces are fired in a gas kiln to 1300 C.
The high-fired porcelain is unglazed in order to preserve the definition and directness of the making process. 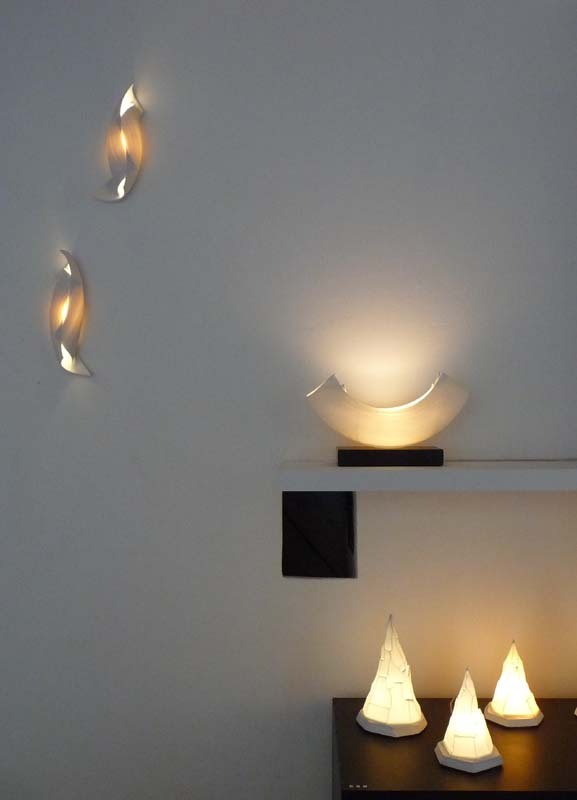 Within each piece, incorporating the lighting technology is an integral part of the creative process. Installations, including chandeliers, wall pieces and fountains, have all involved my developing complex engineering, both electrical and mechanical." 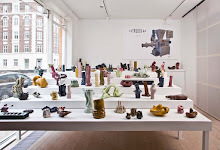 2007 Victoria and Albert Museum, Flow Gallery “Collect”. 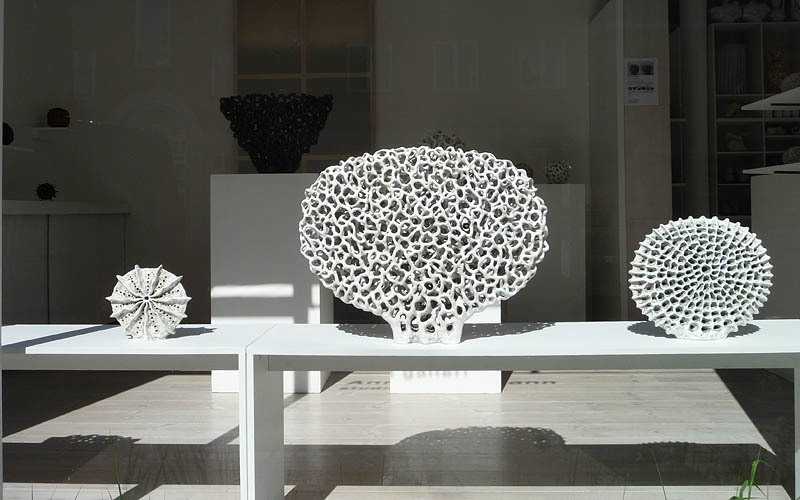 Galerie Besson “Classic and Contemporary Ceramics”. 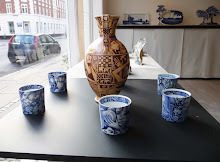 Oxford Museum, Woodstock, “Potters of Portland”. Flow Gallery. London. 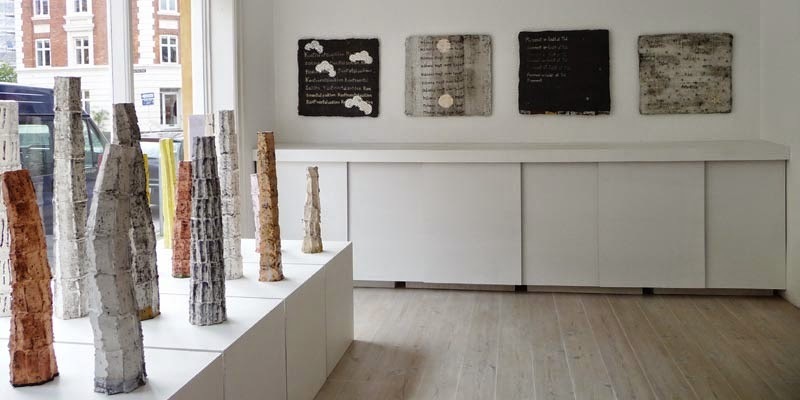 “Commissioning Exhibition”. Wison Art Museum & Jingzhe Modern Art Museum. 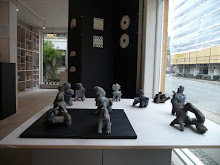 China "World Contemporary & Public Ceramic Art"
Contemporary Applied Arts London, Showcase. 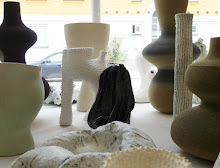 International Exhibition, Makasini, Fiskars, Finland. 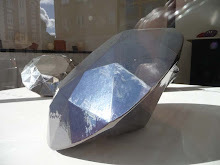 Galerie Besson 'Twenty Years, Twenty Pots'. 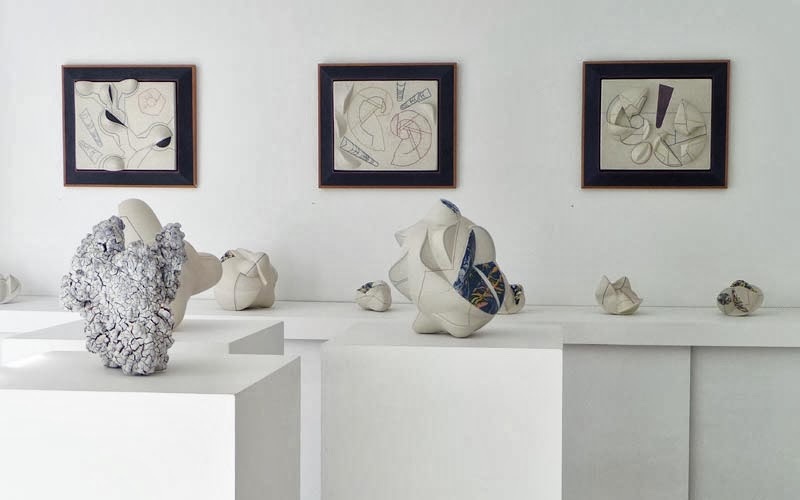 Jingdezhen International Ceramic exhibition and workshop. Sanbao. China. 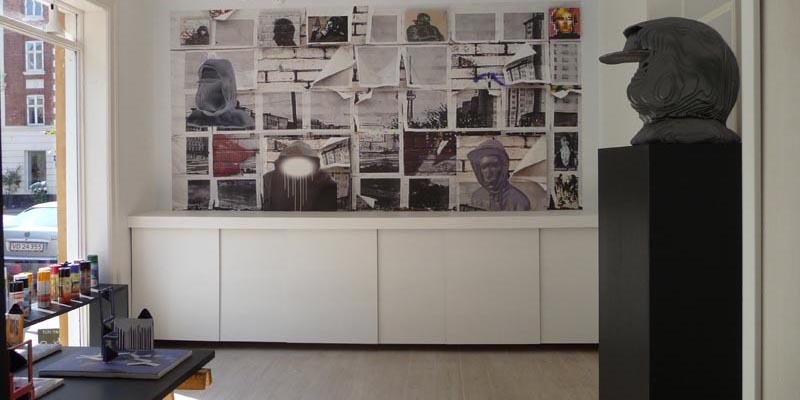 2009 Work included in McKnight Residence Artist Exhibition May. November – December. 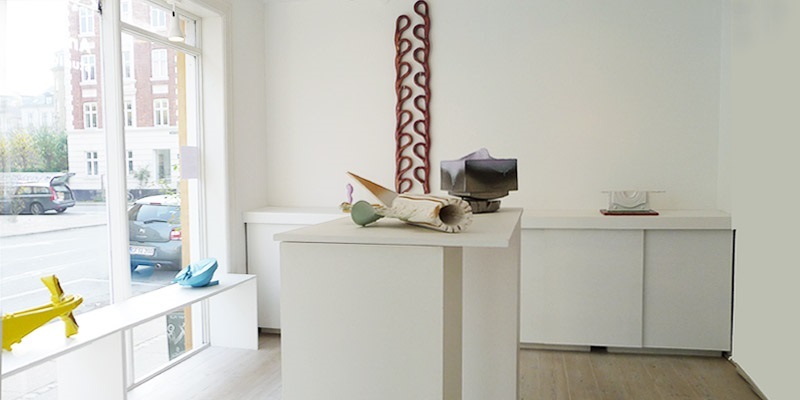 Northern Clay Center Solo Exhibition in Gallery A, Minneapolis USA. (Sirkka Paikkari is part of the exhibition Made to Cherish at Contemporary Applied Arts London). 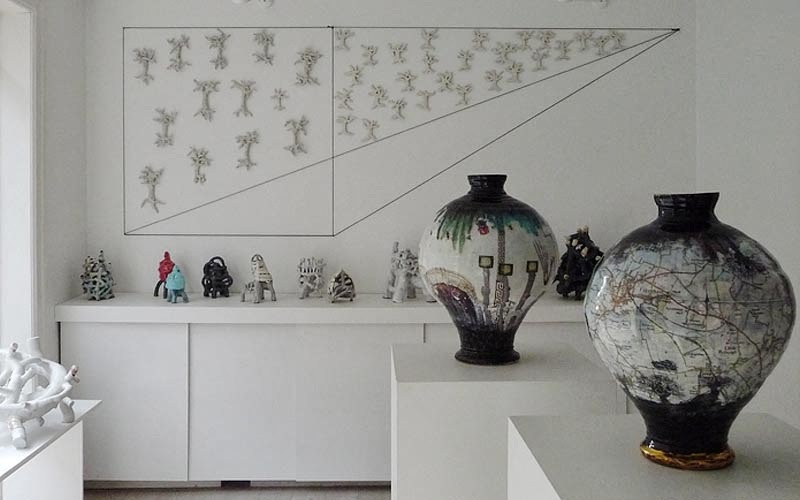 Jingdezhen Sanbao Ceramic Art Institute China “International master's workshop. 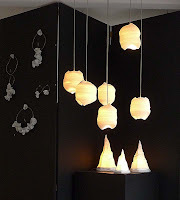 Translucent Porcelain with light Studio Potter & Industrial Designer. 2008 Jingdezhen International Ceramic exhibition and workshop. Sanbao. China. 2009 Awarded Mc Knight Visiting Artist in Residence. January – March. 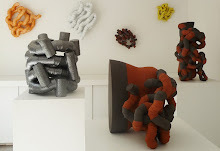 Ceramic Technology for Potters and Sculptors: Yvonne Cuff. A & C Black 1996. Porcelain: Jack Doherty Ceramic Handbook, A & C Black 2002. 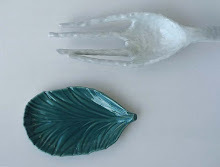 Porcelain and Bone China: Sasha Wardell. Crowood 2004. 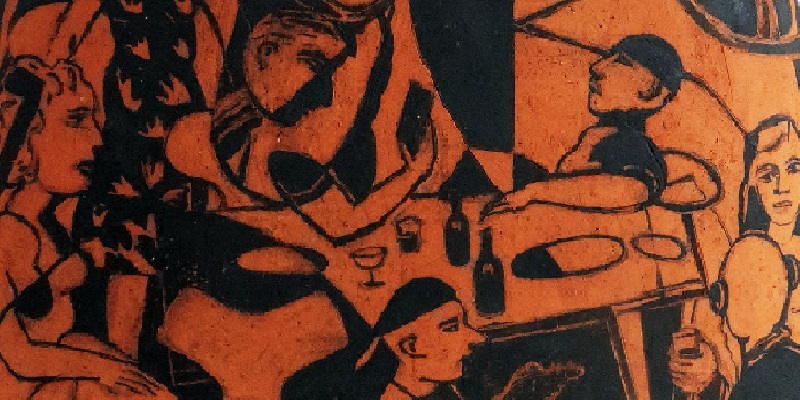 Naked Clay: Jane Perryman, A & C Black 2004. 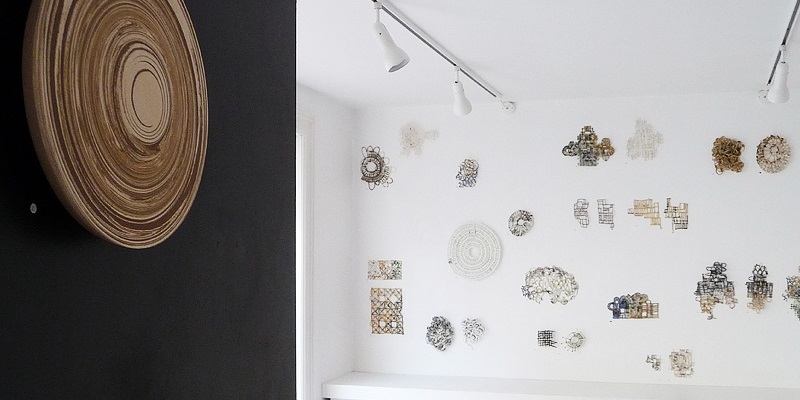 Ceramics with Mixed Media: Joy Boswell, A & C Black. Breaking the Mould: Black Dog Publications 2007. Clay, Light and Water: by Margaret O’Rorke, A & C Black Ltd February 2010 - available on AMAZON. USA Publishers of the book did an interview of Margaret in Philadelphia April 2010 - posted on YOUTUBE. Light and Porcelain Booklet of Margaret’s work designed and printed in China.